I LOVE that drive in your drawer! You remember the last time someone came over to your house and said, "OMG I LOVE that thumb drive in your drawer. What photographer did you use? They must be amazing!" The other night my Father in law sent me the most incredible photograph. 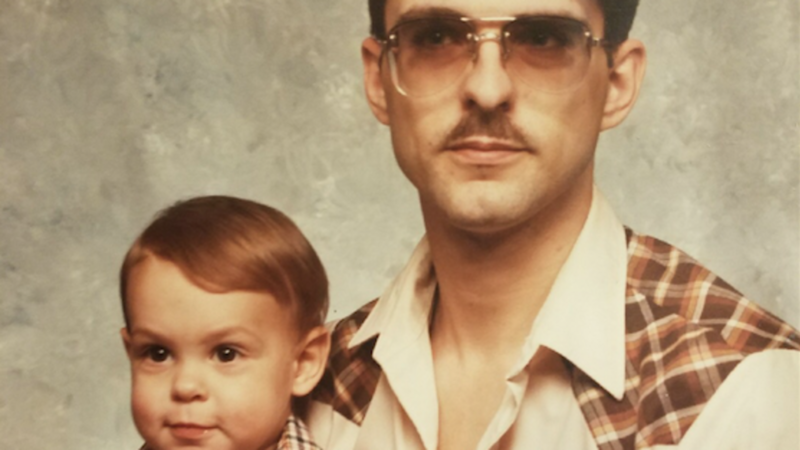 It was take in in 1982 and my husband as a baby was sitting on his lap in the MOST fantastic clash of wardrobe, hair and glasses you could ever hope for. It was glorious. He found it when he was cleaning out a closet and within minutes there were texts flying between various family members all bonding and having a great laugh from across the country. So what I want you to understand here is that I am not opposed digital images. The ability to text these images back and forth came from the advent of digital imaging technology, but I PROMISE you, that this moment was brought you you by: the old school paper print. Apply to be on our model list! You can't run from it anymore... You need a new head shot. Enter your information and we will immediately send you the Information for a family session with Fig-Mint Photography.